Semi-gloss traditional varnish paint for doors, windows and other interior surfaces. linseed oil and natural resins. Aromatic-free hydrocarbon solvent. 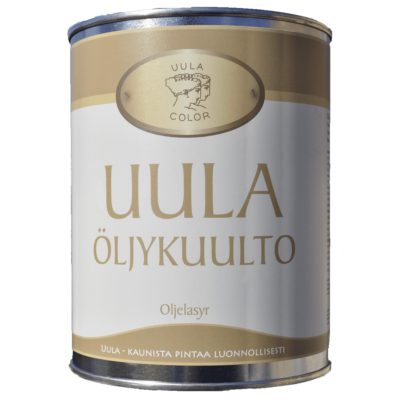 Uula Door and Window Paint is made of pressed and boiled linseed oil, natural resins and colour pigments. For different interior wood and wood fibre board surfaces and exteriors under cover, e.g. doors, plinths, frames, window frames, furniture etc. and previously painted metal surfaces, e.g. steel covered fireplaces. Not for uncovered exterior use.